A leading Staffordshire fabrication specialist has cast aside uncertainty following the Brexit vote to secure more than £1.5m of new orders in just six months. 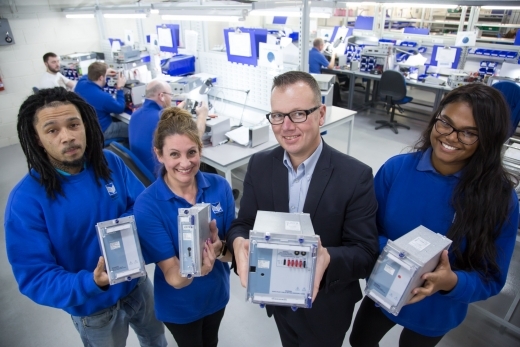 Mec Com, based in Hixton, is part of the Manufacturing Assembly Network (MAN) and has seen turnover rise to £14m after it started work on the Siemens’ Alpha project that taps into the firm’s Total Manufacturing Solutions strategy to offer component production, final assembly and testing capabilities. 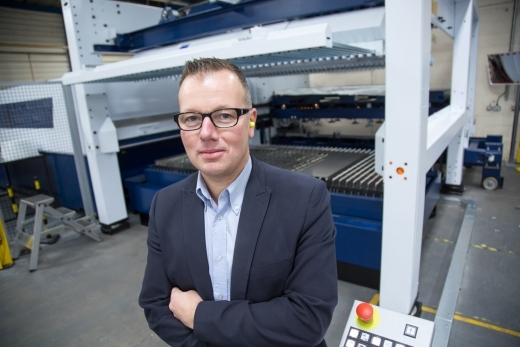 This has led to the creation of 39 new jobs and driven the need for a new £485,000 Trumpf 3030 Fibre Laser, with plans for further investment in new panel bending and robotic welding capacity scheduled for 2017. “We wish the Brexit vote hadn’t happened, but there’s no point stewing on it,” explained Richard Bunce, Managing Director. Mec Com’s success has been based on a commitment to investing in the latest machinery and in building a global supply network that includes a sister plant in Cluj Napoca and manufacturing agreements in China. This approach allows it to competitively offer high, medium and low volume manufacturing services to clients operating in food processing, machine tool, medical, power and distribution and rail. Richard went on to add: “We currently offer fabrication, coil winding, general machining, final assembly and test and are continually adding to the services we can provide our customers. “Making sure we have the right people and the right equipment is absolutely crucial and this is reflected in the recent installation of our new fibre laser. Mec Com is a member of the Manufacturing Assembly Network, a nine-strong group of sub-contract manufacturers who work together to win orders and share best practice and resource. The collective, which enjoys more than £70m sales and employs over 750 people, can offer every engineering discipline imaginable, including automation and control systems, casting, design, forging, plastic injection moulding, PCB development and high volume pressings. It features member companies Alucast, Barkley Plastics, Brandauer, Grove Design, KimberMills International, Muller Holdings, PP Control & Automation and SMT Developments. MAN has recently launched its own outsourcing cluster, which is targeting OEMs looking for strategic partners to handle non-core manufacturing operations.